An early wakeup at 6.00 and on the coach for early start at 730 as it is going to be a long days travelling. We left Lausanne and Lake Leman and heading towards Beaune, a medieval Burgundian town. Not too far away is Dijon, famous for its mustard. About a half hours drive we crossed the Swiss/French border. There were many vineyards and olive groves in this area and it is world renowned for its Burgundy wine. 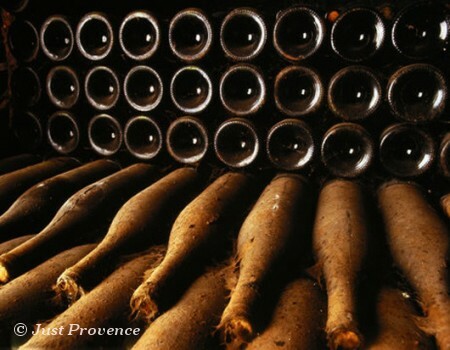 Beaune is famed for its natural fortified wine made from the Muscat grape, and records of its use go back almost two millennia. More recently it is also the producer of a high quality red wine. The Greeks used the town as a spa, and brought the Muscat grape that makes the Muscat de Beaumes-de-Venise wine famous today. Today, over 100 producers including fifteen domains and a cooperative winery combine their efforts to maintain the highest standards and the centuries old reputation of the town and its wines. Beaune is a market town and obviously a commercial centre for the outlying farms and hamlets. Busy and bustling, life in the village centre around an open central area with squares, weathered stone fountains, shops, outdoor terrace cafés, with plenty of shade from the plane trees. The word “beaume” means caves or grottos, and Beaumes-de-Venise is built against a line of cliffs along the south western edge of the Ventoux mountains. The old houses and narrow streets of the medieval village rise up to the reddish sandstone cliffs with their many caves. It’s as famous for its olive oils as it is for its better known wines. I didn’t feel like doing too much walking or going shopping, so just had a little wander around by myself. Many of the buildings had polychrome roofs (varied colours). One of the buildings I saw was The Hospices de Beaune or Hôtel-Dieu de Beaune is a former charitable almshouse in Beaune, France. It was founded in 1443 by Nicolas Rolin, chancellor of Burgundy, as a hospital for the poor. The original hospital building, the Hôtel-Dieu, one of the finest examples of French fifteenth-century architecture, is now a museum. The 572 year old Hospital is one of the best preserved buildings from the 15th century. In 1443 the Hundreds Year Old War was just ending and most of the population was in dire needs after war and plague. So the hospital was built and its first patient was taken in 1452. It was most likely built by Flemish and French masons, painters, and glass cutters. What really stands out is its famous polychrome roof which is probably influenced from Central Europe or most notably Hungary. I I certainly have never seen a roof in France like this and apparently this became the go-to style for Burgundy during this time. In nearby Dijon, there are similar roofs with patterns like this one. Wandered down some little streets and cobbled alleyways. There was a pretty garden and one of the garden works, called “L’Escargot et l’Ange” (The Snail and the Angel), bronze 1977-1984. Dali was fascinated by natural geometry, especially as evidenced by certain snails with a helix form. Another sculptor was of Dali. Watching over everything is the large 16th-century church with its clock tower topped by a wrought-iron belfry (campanile). The church was built in 1507; the campanile was added in the 19th century when the church was rebuilt. There was another church in the town with its impressive spire. Came across the statue of Gaspard Monge, born at Beaume (9 May 1746– 28 July 1818) that was erected in 1849. Monge was a French mathematician, the inventor of descriptive geometry (the mathematical basis of technical drawing) and the father of differential geometry. He was educated at the college of the Oratorians at Beaune. In 1762 he went to the Collège de la Trinité at Lyon, where, one year after he had begun studying, he was made a teacher of physics at the age of just seventeen. After finishing his education in 1764 he returned to Beaune, where he made a large-scale plan of the town, inventing the methods of observation and constructing the necessary instruments; the plan was presented to the town, and is still preserved in their library. An officer of engineers who saw it wrote to the commandant of the École Royale du Génie at Mezieres, recommending Monge to him and he was given a job as a draftsman. Monge’s name is one of the 72 names inscribed on the base of the Eiffel Tower. After my wandering around, I had a coffee and a couple of macarons but was disappointed with them – my grandaughter can make better !! It was then time to board our coach and get to our accommodation at the Timhotel in Paris 17. It was a way out of the Centre of Paris. We were disappointed that there was quite a lot of construction taking place outside so those who had not been to Paris before were not impressed. As I was not feeling on “top of the world”, as had a very bad headache. I decided I would not go to the Cabaret as the pickup time wasn’t until 930 – instead I was in bed about 630. Was “unconscious” so didn’t hear Alyssa come home. Wanted to be able to enjoy tomorrow’s activities as this was another day I was looking forward to – visiting the Versailles Palace and Gardens as I did not get the opportunity to do so in 2014.